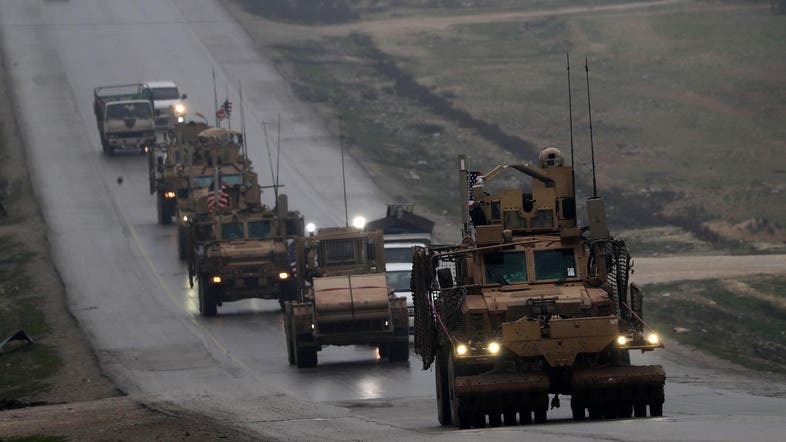 Russian military police have begun patrolling around the Syrian city of Manbij, a spokesman said Tuesday, moving into an area once held by US-backed Kurdish forces. Speaking in a report on Rossiya 24 television, Russian military police spokesman Yusup Mamatov said MPs had started patrolling “the security zone around Manbij”. “The task is to ensure security in the area of responsibility (and) to monitor the situation and movements of armed formations,” Mamatov said. Critics have warned Trump that an abrupt US withdrawal from Syria would allow allies of President Bashar al-Assad’s regime -- including Russia and Iran -- to increase their influence in the country. About 2,000 US troops, mainly special forces, are deployed in Syria to work with local fighters in the battle against ISIS. Kurdish fighters formed the backbone of the US-backed Syrian Democratic Forces (SDF), which seized Manbij from ISIS in 2016. They withdrew from the town earlier this month after Trump’s announcement. Trump has in recent days sought to calm fears of an abrupt US pullout, saying any withdrawal would be done in a “prudent” manner. Syria’s Kurdish minority has largely stayed out of the country’s seven-year civil war, but controls large parts of the north and northeast, much of it seized in the US-supported campaign against ISIS.